Crete keeps some of its secrets well and Sissi is just one of those. 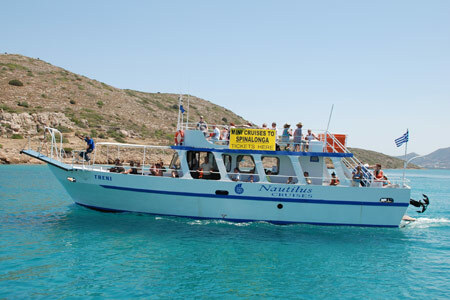 To find it, you need to turn off the highway between Malia and Agios Nikolaos for about 40 km east of Heraklion. A winding road leads you through olive groves to the twinkling sea and harbour of Sissi. Literally at the end of the road, you discover the delight that is this small resort nestled between the Aegean Sea and a deep natural bay that gives the fishing village its character. Moored in the bay are colourful fishing boats and the calm deep water is the playground for families of ducks whose home is in the palm trees on the far side of the bay. Dotted around the bay on the cliff face are tavernas, bars and cafeterias and the high position offers you perfect views during the day. The inlet is deep, dark and quiet in contrast to the bright open spaces around the corner which faces the open sea. This is where you will find the fish tavernas which are the favourite of the Greeks who travel from far and wide to dine there, especially on Sundays. If you follow the paths to the east, you will stumble across small clean beaches and to the west, around the inlet and over the bridge will take you into a newer, more touristy area with some of the larger hotels. There is also a cycling path and nature walks for those interested in exploring the area at their ease. You could walk to some of the nearby villages or hire a bicycle to take you to Milatos and the famous cave. Renting a car in Sissi with Rental Center Crete is definitely a good idea if you plan to explore further afield as there is only a local bus about every four hours and it does not run late into the evening. Turn left onto the highway and you travel east with the Lassithi Plateau to your right into charming larger resort of Agios Nikolaos. From there, you can choose to travel south to Ierapetra or further to the end of the island where the palm beach of Vai welcomes you. Turn right onto the highway and just a few kilometers down the road, you will see the turn off to the Malia Archeological Site which is definitely worth a visit. Follow the beach road which is a picturesque way to arrive in Malia with the banana greenhouses to the left and wide sandy beaches to the right. Malia and Hersonissos are more touristy than Sissi and you might like to sample their nightlife if you are that way inclined. 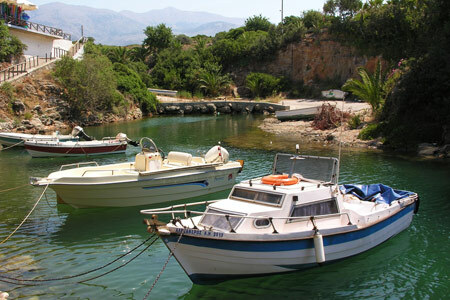 Travel further to the west and you will reach Heraklion, Rethymnon and Chania with a car.